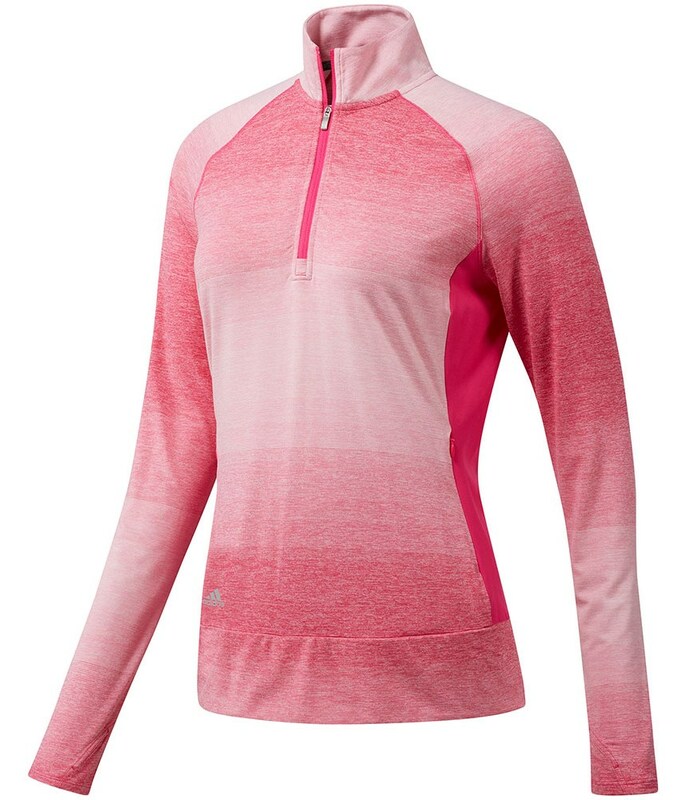 adidas Golf have created the Ladies Range Wear Half Zip Top as the ideal layering piece that will keep the cold out without adding bulkier layers that restrict movement. To provide that extra layer of warmth and mobility adidas have used a lightweight, soft, cotton-like fabric that features an engineered stretch. 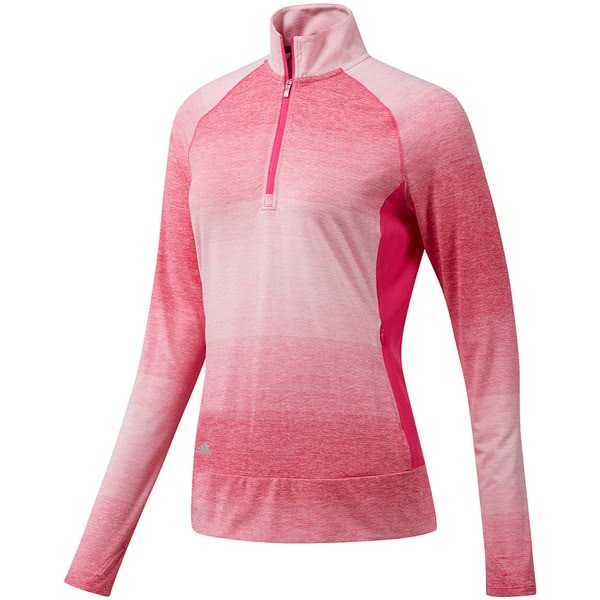 An extended collar and thumbhole design delivers enhanced coverage. The half zip design allows you to tailor the fit depending on the changing weather conditions as well as providing easy on/off while on the move. Soft, cotton-like body fabric engineered with stretch for freedom of movement. Metallic adidas Badge of Sport above hem. 91% polyester / 9% elastane jacquard.